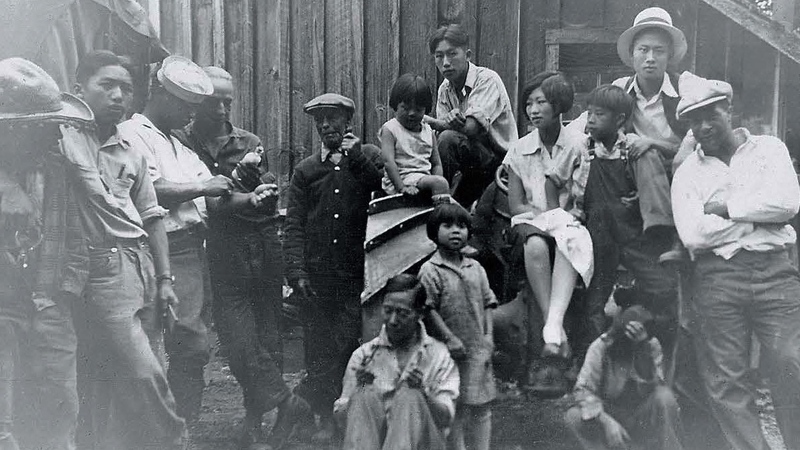 Kee family and friends at the hop yard, 1928. Photo by Bue Kee. Chinese farm workers helped Oregon establish its reputation as an international beer capital. Essay by Putsata Reang and videos by Ivy Lin. Timeline by Melissa Lewis. In 1906, when Ming Kee was three years old, his parents owned and operated the Kee Kee Hand Laundry in Portland’s Chinatown, where underneath the folding table, a bundle of clothes laid in wait. The clothes were not laundry for customers to collect but instead belonged to Kee and his family—a getaway stash of outfits stowed strategically near the front door for a middle-of-the-night mad dash from trouble. Racial tensions percolated to a fevered pitch in Portland in the early 1900s, and the Kee Kee Hand Laundry had already been vandalized a few times. Eventually, rather than wait to be chased from their home, Kee’s father, Dong Chung Kee, gathered his wife and five children and headed to the suburbs. They relocated to Aurora, twenty-five miles south in the Willamette Valley, where the family rented land from the rancher GA Muecke and began farming hop. In doing so, they became one of dozens of Chinese immigrant families across Oregon whose labor in the hop yards helped fix the state on the map as the biggest hop producer in the nation in the early 1900s. As Portland cements its status as the craft beer capital of the world, with more breweries than any other city worldwide, few people know the history of the cone-shaped flower that flavors their ales and the Chinese immigrants, among other migrant laborers, whose punishing labor and precarious lives in the fields formed the base of the state’s bitter brew. It is the story of resilience and perseverance, of an immigrant community pinned against a time and place of heightened anti-immigrant sentiment, discriminatory laws that prohibited Chinese people from owning land, and economic pressures that spiked the hop business with a taxing boom-or-bust volatility for families like the Kees. Despite a daunting set of circumstances, many of the state’s Chinese immigrants were among the laborers who persisted and helped launch Oregon’s early momentum in the hop industry. Before the first farmers in Oregon began training hop plants along eighteen-foot high trellises on vast tracts of lands, New York was the biggest producer of hop in the nation, churning out more of the crop in 1849 than any other state. But the combination of a deadly fungus and Prohibition ravaged New York’s burgeoning hop industry. As New York’s hop production floundered, Oregon’s nascent hop industry took off, with the first hop seeds planted near Silverton in 1846 by pioneer Frederick Walcott Geer, and the first commercial hop farm started by William Wells in Buena Vista, seven miles south of Independence, in 1867 according to the Oregon Hops and Brewing Archives (OHBA), a special collections and research center based at Oregon State University. Taking advantage of the open lands, mild climate and abundant rainfall ideal for hop to thrive, a critical mass of Oregon farmers began planting hop, and the state surged to the number one spot as the largest hop producer in the country between 1905 and 1915, according to the OHBA. At its peak, on the heels of the repeal of Prohibition, Oregon farmers cultivated 20,000 acres of hop each year by 1930. Today, Oregon is the second-largest hop producer, with Washington state claiming the top spot, producing almost 75 percent of the nation’s hops. “Historically for sixty years, from the 1890s to the 1940s, Oregon was the hop center of the US before Yakima took over,” says Peter Kopp, author of Hoptopia. Across the state, residents seemed to revel in hop fever. Small communities like Independence held a Hops Fiesta with a Hop Queen who paraded through town. In Portland, residents dispatched to the hop yards in the Willamette Valley en masse during summer break as a form of vacation, enjoying fresh air in a beautiful backdrop of rolling hills, and pitching tents alongside their friends in the fields where pickers gathered around communal bonfires at night to strum guitars and belt out ballads beneath open skies untouched by city lights. Hop plants grow up to twenty feet tall and today are harvested by combines the size of elephants that chew through tight rows, cutting bines that drop into a spinning sorter that spits the hop cones out into an open truck. Before mechanization, growers required small armies of people to pick them during a short few-week window in the summer when the cones were at their peak for harvest, Kopp says. In the early 1900s when Oregon reached its first peak in hop cultivation, farmers scrambled each summer to hire enough workers to pick the buds by hand. A variety of seasonal workers, including whites, African Americans, Native Americans, Japanese, and Chinese migrated to the Willamette Valley at the start of hop harvesting season to live and work until the fields were picked clean. Competition among the pickers eventually sparked racial tensions, as farmer owners undercut wages of some laborers at the expense of others. Newspaper reports from the time detail tensions and growing animosity of white workers toward Chinese laborers, who became increasingly favored by farmers for not only picking more efficiently but also, accepting lower wages. Chinese workers were called “heathens,” and some advertisements in local newspapers soliciting hop pickers indicated Chinese laborers need not apply. White farmers desperate for field hands took to secretly contracting with Chinese hop pickers, even though the threat of Chinese workers being rounded up and run off the land became a relentless risk. The Chinese laborers, resolved to earn a living, took their chances. In one infamous incident, Chinese hop farms in Squak Valley (now known as Issaquah), Washington, fifteen miles east of Seattle, were ambushed in a bloody raid that became emblematic of the extreme anti-Chinese immigrant sentiments across the west coast. On September 7, 1885, while a crew of thirty seven Chinese workers in the Squak Valley were sleeping, a marauding group of five white and two Native American men fired rifles into their tents, killing three Chinese laborers and wounding four others. In another incident farther south, more than fifty Chinese hop pickers in Butteville, an unincorporated community that hugs the Willamette River south of Wilsonville, were rounded up by seventy-five white men and forced onto the steamship Toledo. The Chinese workers were shipped back to their homes in Portland and warned not to return, according to a September 8, 1893, article in the Corvallis Gazette. Not all Chinese laborers were run off the hop fields. Some, like the Kee family, thrived in the midst of the agrarian chaos. It isn’t known whether Dong Kee knew about the attacks against Chinese workers on the area’s hop farms before he decided to move his family to Aurora in 1908. He was simply trying to flee the discrimination faced by Chinese immigrants in the city. “That was the reason the family moved out to the hop yard, was because of the racial tension,” said Dan Kee, Ming Kee’s nephew, who keeps a collection of many of his family’s old photographs, artwork, and other memorabilia. Dan Kee suspects his father, Wilson, and his aunts and uncles who lived and worked on the Muecke ranch faced discrimination but focused on working hard and being good citizens rather than dwelling on any slights based on their race. “My guess is they all experienced these types of things but they chose not to talk about it,” Kee said. The Kee’s family hard work paid off, and eventually, the family was able to rent their own farm lands and cultivate hops as a family-run enterprise. Ming Kee grew up amid the towering hop plants tamed by wires ratcheted tight as guitar strings. He learned to harvest delicate hop bulbs without bruising, hoe perfect rows on his family’s sixty-acre plot to plant roots, and drive a horse-drawn cart along the lands to collect bushels of hop to haul to the dryer. But when the elder Dong Kee passed away in 1927 Ming and his siblings stopped farming and scattered to nearby communities or returned to Portland. None of the kids cared to stay in the hop business—a fact that seemed to weigh on Ming Kee in an interview he gave to the Benton County Historical Society in 1982 as part of an oral history project. Ming Kee’s voice hints at a rinse of resignation and regret as he tells the interviewer how his family disbanded from the hop yards after his father’s death. He blames his family’s inability to purchase the farm where he spent his youth on a lack of financial resources. The Kees rented sixty acres of fields, first from the Muecke family and later, the same amount from the Crissell family in Tualatin, under an agreement to pay the landowner a quarter of total profits. There were a few years when the Kees earned a bounty and bought new tools and eventually, a tractor. But sometimes, the family barely broke even. “I can’t figure out how they ever saved any money,” Dan Kee says. But even if the family had the financial resources to buy a farm, legally, they couldn’t. Beginning with the Oregon Constitution, a dashboard of legislation at the federal and national levels prevented families like the Kees from gaining a foothold in the state. Oregon State’s Constitution of 1859 specifically indicates that “No Chinaman” shall own property. By 1882, the federal Chinese Exclusion Act was passed by Congress to restrict the flow of immigrants coming from China, even though many industries including railroad construction and agricultural production relied on the labor. And by 1923, Oregon lawmakers passed the Alien Land Act, following several other states that passed similar measures, that made land ownership the exclusive right of American citizens. Despite these exclusion policies, at least one Chinese immigrant family beat the odds and bought land near the state capitol, becoming one of the most successful farming families in the region. Up in the bluffs off of Keizer, Oregon’s Wheatland Road that wends through a patchwork of subdivisions with slate and mat gray-colored homes and farm fields where filbert, blueberries and hops thrive, a tombstone sits apart from a scattering of others in cemetery for pioneers. The writing is in Chinese, three vertical rows of course strokes chiseled in stone, anchored by the word “Father” on top with the dates of 1857–1925. It is the gravestone of Low Sun Hop Lee Fook, a Chinese hop farmer and entrepreneur who owned laundries in Salem. Though Hop Lee was a Chinese immigrant, he was married to Ah Kee Hong, a Chinese American born in California. For this reason, the couple successfully skirted laws banning non-citizens from owning land. Hop Lee purchased farm land from Alvis Smith, a white farmer he had once worked for in a deal soaked with controversy for the simple fact of Lee’s ethnicity. Smith reportedly caught the ire of his neighbors for selling farmland to a Chinese immigrant. It isn’t known whether Hop Lee faced backlash from the neighbors. What’s clear is that he was undeterred in his pursuit of the American Dream. He eventually purchased more than six hundred acres of farmland in the early 1900s and he successfully cultivated hops along a swath of land on the bluffs above the Willamette River in Keizer. The story of Hop Lee is remarkable not only because he was an outlier among farmers in Oregon, but because he succeeded at a time when social and legal obstacles against Chinese immigrants were stacked high as the very hop vines that Lee grew. That’s where the Kee family hit a stall on their own path to a better life. After leaving the hop farms, Ming Kee became a mechanic and opened an auto garage in Aurora, only a few miles from the very hop yards where he and his siblings worked through their young adult years. But his story still echoes across the land. The story of a family encased in a time and place when working wasn’t enough to get ahead because the laws of the land pressed immigrants into tight corners. It’s the kind of story people like Peter Kopp want the rest of us to remember. Ivy C. Lin is originally from Taipei, Taiwan. She became a Portlander in 2002 and has been telling Portland’s lesser-known stories through video since 2007. 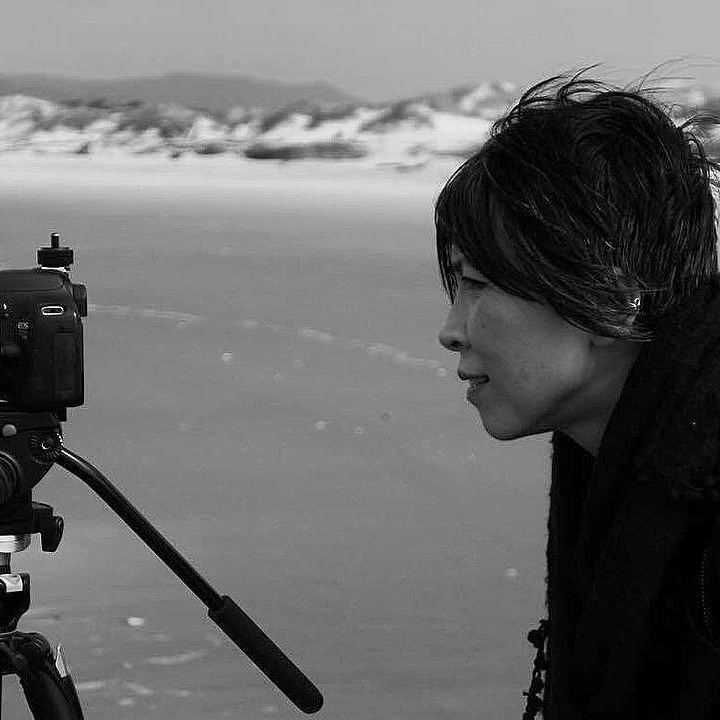 Ivy’s films have been screened at festivals throughout the Northwest, including “Beauty & the Sea,” which won Best Documentary Short at the Northwest Filmmakers’ Festival in 2015. 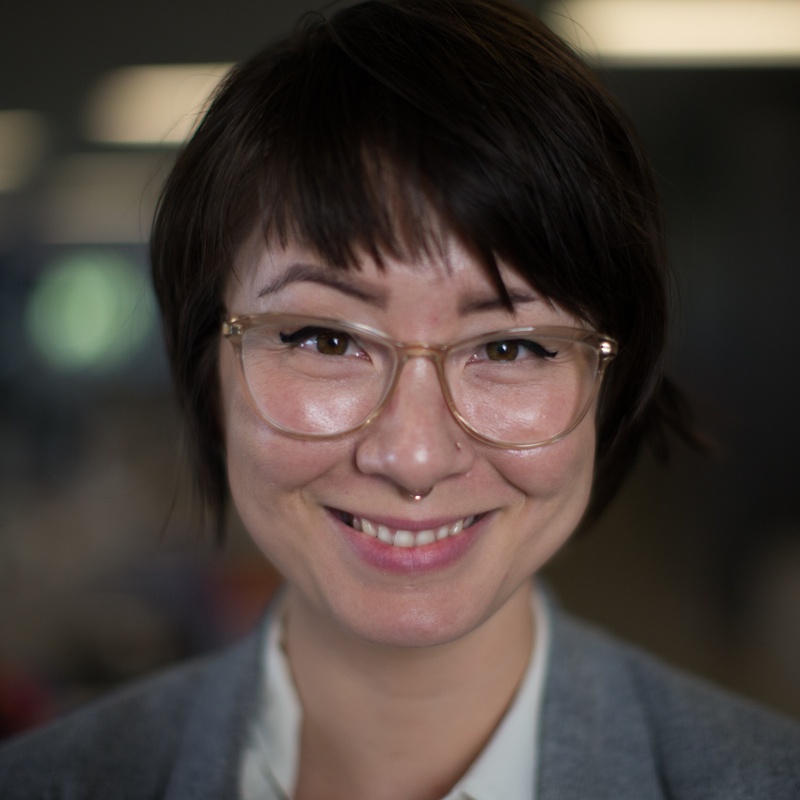 Putsata Reang is an award-winning Cambodian American journalist and author, and a graduate of University of Oregon's School of Journalism. Her work has appeared in publications including the New York Times, the Guardian, Mother Jones, and various literary anthologies. 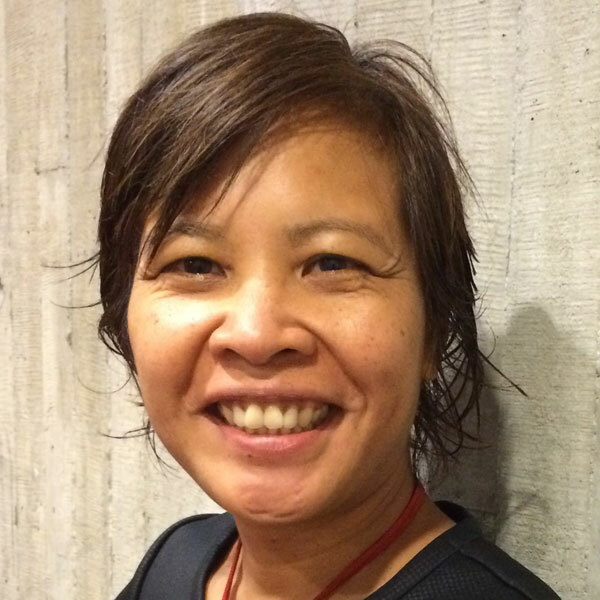 She is currently at work on a memoir about her family's experience fleeing the genocide in Cambodia. My mother, who just passed away on August 28, 2018, at the age of 97, knew the Kee family. Her maiden name was “Crisell” (correct spelling) and her brother Bill is pictured in Ivy Lin’s Vimeo about Ming Kee. I have a map showing some Kee land, and Mom knew the children. I have some documents about hop farming and pick8ng, and want to put together a brief program for my Heritage Study Group about the Chinese in Butteville area. (Just FYI, our last program was presented by Mary Oberst about Kam Wah Chung & Co). Do you have any plans for a showing in Eugene at any point? It's the sort of history that a lot of us need to know, and Eugene is likely to have receptive audiences. Thank you for this wonderful story about a relative I never knew, Ming Kee. Ming was the brother of my great-uncle Hong who was quite elderly when I was a child, and I wasn't aware of his hop history until now. The photos and videos are priceless treasures I enjoyed so much seeing for the first time. Thank you so much to all who were involved in granting and doing interviews, writing, publishing, and providing video and photos of this. It is an important part of history. I want to give more credit to the background from the Oregon Hop and Brewing Archive. You mentioned it, but their work is seminal in Oregon's Hop growing, and they should be given more time in this article. Sonja Grove | May 2017 | Portland, Or. Fantastic story. Love the hidden stories when we least expect them!